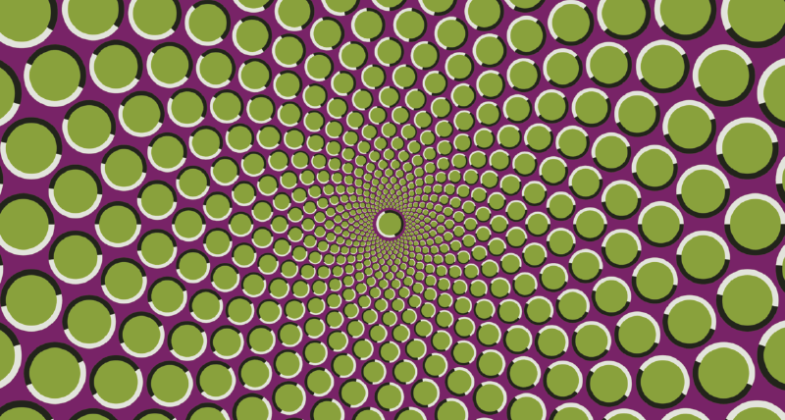 An optical illusion is the shift we experience between what our eyes see and how our brain processes that information. As we perceive the world around us, our brain receives 3 dimensional clues about our surroundings, including depth, shading, lighting and position, which enable us to see objects correctly. When viewing a 2 dimensional image, however, we can be tricked into seeing things differently or even into seeing things that aren't even there.